Signed from Real Madrid July 2016 for 1.5 million euros and contract here until June 2020. 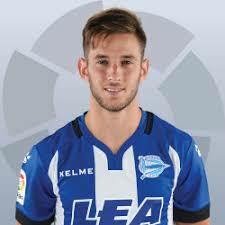 Currently on loan at Alaves until June 2018. Is he playing well ? Unfortunately no. Not being used nearly enough and perhaps will be released by them or maybe another loan deal, but unlikely. A promising player who has failed to live up to his expectations so far. Seems to do some good passes but never seems to take command and direct the play. At an age now where we should be seeing him at his best and therefore decisions have to be made in the summer to keep him or get rid. Signed from Celta Vigo for 3million 2017 and currently on loan at Eibar. There is an agreement that he would sign for them for 2 million at the end of this season if they remain in La Liga. 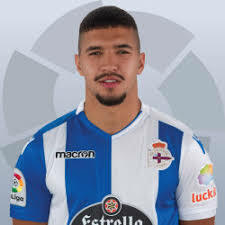 It looks like they will be staying with the big boys and as he is playing well it appears his destination is Eibar for next season. Started off well for us but fell out of favour and is now outside of our plans. 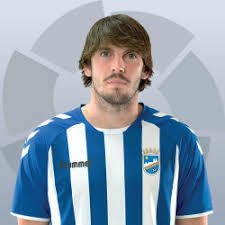 Came on a free transfer from PSV Eindhoven and currently on loan at Deportivo La Coruna until June 2018. He has a contract at Valencia until 2020. Is he playing well. New manager Clarence Seedorf seemed to like him and gave him plenty of playing time when he first arrived. Unfortunately he looks the same as he did at Valencia. Explosive running power and good crossing ability. However, he is lacking on getting back to defend and gives the ball away too easily. I have seen him play many times and not impressed. I do not see him changing and I think he is not what our manager is looking for. Alaves should stay up now and again a decision needs to be made what to do with him. He has to go I think. loan to Sao Paulo in Brazil until December 2018. It appears he is not getting any game time at all in Brazil therefore a big problem in December as to what to do with him. He came with a good reputation but apart from a few occasions failed to live up to it. Massive mistake paying that sort of money. Local player who came up through the club system. Has a contract here until 2020 and currently on loan at Las Palmas until June 2018. I have seen him play many times for Las Palmas on TV but he always looks too weak too small and easily dispossessed. He has been given many opportunities but failed miserably to impress. Contract here until June 2019 and currently on loan at Cadiz CF in Segunda until June 2018. Another player not living up to his expectations. 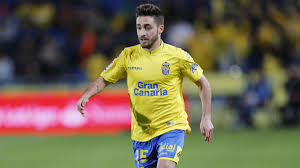 Cadiz are in line for possible promotion to La Liga but Eugini is not starring in the team enough. We will have to wait and see what becomes of him. Summary. Very disappointing news unfortunately. Nobody except Cancelo is going to bring in any decent money or looks as if he has a future with the club. What are your views guys. I hope I can be proved wrong by one or more of theses players ?